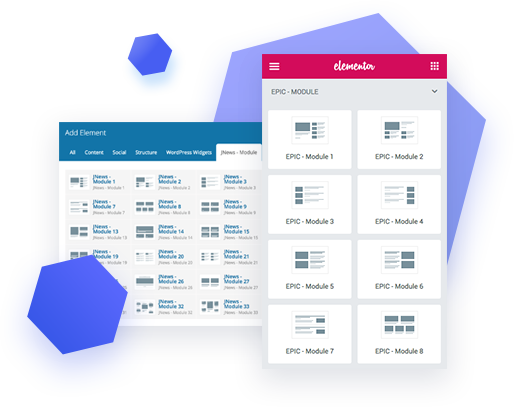 Create unlimited layout with more than 70 elements includes Blog Modules, custom Sliders and Hero (Grid Post). 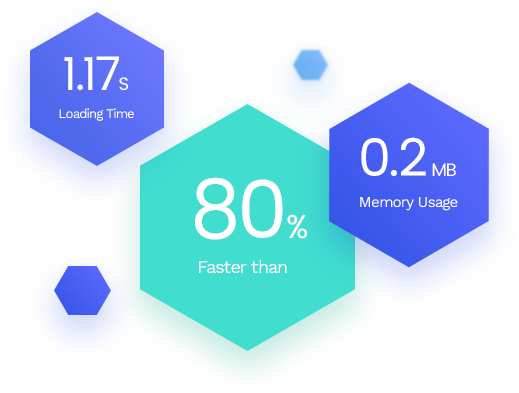 High coding standard make it lightweight and faster than rest of page builder add-ons on the market. Compose website layout with Live Frontend editor, see changes in real-time. 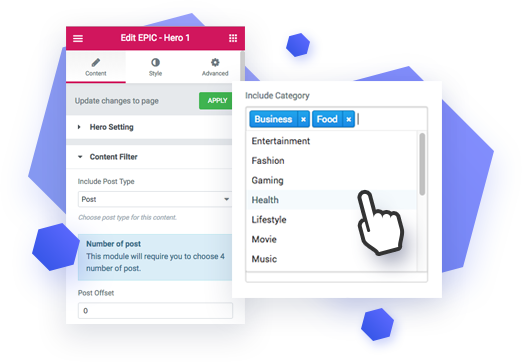 You can use Epic News Elements with the best page builder available to day : Elementor & WPBakery (formerly known as Visual Composer) Page builder. Epic News Element code base to make it very light and faster than rest of page builder addon on market. On our test, Epic News Element add only mili second mark processing time when rendering on frontend. Epic News Element code base is very versatile. Its not only can be used by several page builder, we also make it to work with Shortcode and Widget. So you can place it on your footer, sidebar, post content or any location that you need. Show the post you want with built-in filtering option for post or custom post type. You can use include or exclude feature for category, tag, author, appropriate post or skip some post with offset option. Avoid duplicated posts by grouping them into Unique Post Group. We understand that your website purpose may also to generate revenue for you. That is why ads is important. 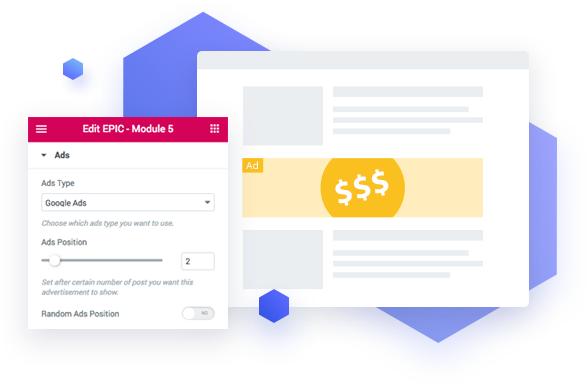 We provide capability on several of our module block to show Advertisement when user clicking Load More. Attract your visitor to visit your youtube channel by adding engaging Video Playlist. 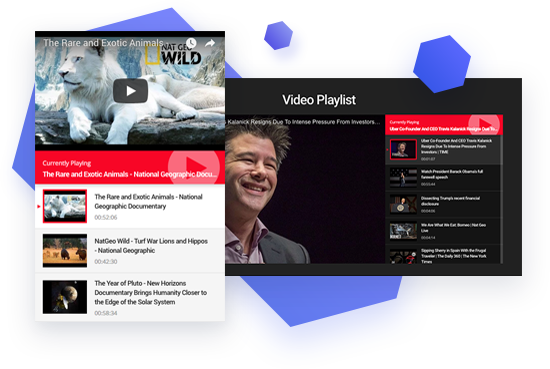 We have 2 type of video playlist you can use and make your video look gorgeous. Elevate your web design process with ready to use and customizeable elements. With News Element Pro you are not only able to use it with your post, you can also use custom post type as source of your content. Prevent duplicate post with this feature. 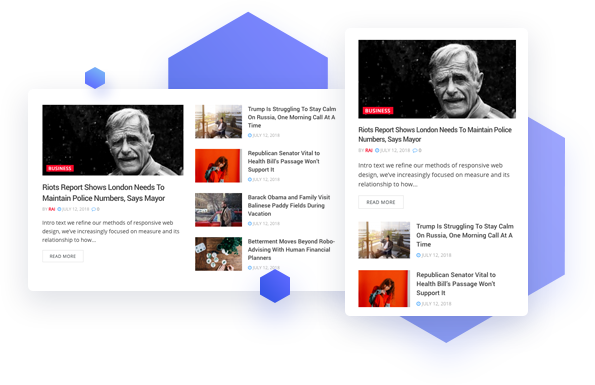 You have full control of which posts to show on your news, blog or magazine website layouts with frontend editor. Each element comes with pre-defined dark/light scheme color and can be customized in order to fit your website design. Module will adapt with size of row you currently put them into. Some of block may fit with almost all block you insert into and look very different each block size. This plugin is translation ready. We provided translation files: .po and .mo for you for easy translation with translation tools. You can use News Element Pro with your favorite themes that work with Elementor & WPBakery page builder.